Visit the oldest continuously occupied villages in the United States on our fascinating, in-depth tour into the heart of Hopi lands. Hopi tours departing from Sedona or Flagstaff, Arizona. This unique and fascinating journey will take you into the heart of Hopi country. Your journey will begin with a scenic drive up the famous Oak Creek Canyon. From there, we travel through Winslow, AZ to the Homolovi Ruins - these ancient dwelling were once the homes of Hopi ancestors. Next, enjoy an authentic Hopi meal with your guide at the Hopi Cultural Center. The afternoon will be spent visiting the Village of Walpi on First Mesa, the most pristine of all of the Hopi Villages. You'll do a walking tour with another Hopi Indian Guide, who will share with you the traditions of the Hopi People. 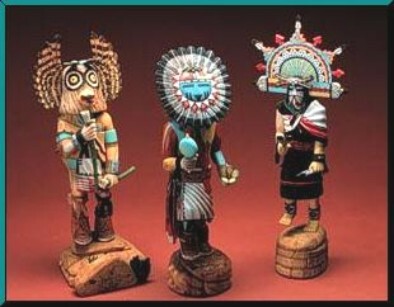 Visit with the artisans such as basket makers, pottery makers and kachina carvers. This is a true cultural and spiritual experience. NOTE: This tour departs Wednesdays only. Minimum of 4 guests for tour to run.